For the second part in this two-part series, go here. A friend of mine told me the following curious story. In the early 1990s, while taking a course at Harvard’s John F. Kennedy School of Government, he sat next to an ordinary-looking older man, a soft-spoken, pudgy fellow, who said he was from Guatemala. After a few weeks into the term, he came to class one day and found the man sitting alone, far from the other students, who seemed to be avoiding him. Another student explained to my friend who the man was: Hector Gramajo, a former Guatemalan general and defense minister who was there on a Mason fellowship, studying for a degree in public administration. While he was Army Vice-Chief of Staff and Director of the Army General Staff, the Guatemalan army massacred more than 75,000 Mayans in what a United Nations Truth Commission later (1999) called genocide. On graduation day, while in his academic gown, Gramajo was handed court papers informing him that he was being sued in the US by eight Guatemalans who together with family members had been abused by soldiers under his command. Later, the lawsuit was joined by one from Sister Dianna Ortiz, an American nun, who had been raped and tortured by Gramajo’s men. In 1995, a federal judge in Boston awarded $47.5 million to the plaintiffs. Gramajo never paid. He was back in Guatemala, where, in 2004, in a fitting twist of fate, he was killed by a swarm of Africanized bees. Joy erupted in the streets of Guatemala in early September, after months of demonstrations had forced the congress to strip presidential immunity from President Otto Perez Molina, who then resigned and was subsequently jailed on corruption charges. The fraud, conspiracy, and bribery charges against Molina, 64, a former army general and intelligence chief, are dubbed “La Linea,” or “The Line,” because a network, or long line of government officials is involved. The case concerns bribes paid by businesses to customs officers and government officials in order to evade import duties. Molina is alleged to have profited handsomely, but he denies the charges. His former vice president, Roxanna Baldetti, was jailed on August 21st on similar charges. Molina is implicated in many massacres and murders while he was an army general, and chief of military intelligence while on the CIA payroll. One of these many victims was the husband of the Harvard-trained American lawyer Jennifer Harbury. 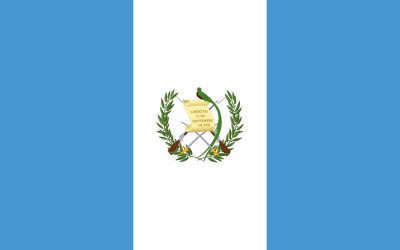 The corruption charges were the result of an investigation conducted by the United Nations International Commission against Impunity in Guatemala (CICIG) in collaboration with the Guatemalan Justice Department. The huge street demonstrations in Guatemala City and around the country, fueled by indignation at long-standing systemic corruption, put enormous pressure on the judiciary to finally arrest Molina. His September 3rd arrest brought optimism to a country sorely in need of some good news. But then, three days later, a television comedian (shades of US election theatrics), Jimmy Morales — backed by military officers implicated in torture, assassinations, and massacres — won the first round of the presidential elections, despite widespread remonstrations to postpone an election considered rigged by corrupt oligarchs and drug lords. The US mainstream media has reported the basics of these events. But, as usual, what they haven’t done is report on the deeper back story to all this, and how the US government is involved in nefarious ways that stretch back many years. For example, the fact that Molina was trained at the SOA at Ft. Benning, GA, in torturous interrogation techniques, and is implicated in many killings, is never mentioned in the The New York Times story of his resignation, nor in any subsequent story, as of the date of this publication. 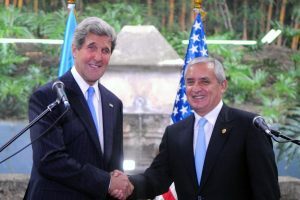 For a long time, the United States government has been deeply involved in the support and training of death squads, and corrupt military officers, not only in Guatemala, but throughout Latin America. As for Molina — like the Salvadoran death squad leader of the period of Forche’s poem, Roberto D’Aubuisson, who ordered the assassination of Archbishop Oscar Romero, the defender of the poor — he, too, was trained by the US at the SOA. For years, Roy Bourgeois, a former US naval officer and Maryknoll priest, has led an effort to inform the American people of what is occurring at the SOA, and to have the US government shut it down. At the website he founded, one can find extensive documentation on the people who have graduated from this “Institute” for lower learning, and on their murderous histories. In Guatemala alone, conservative estimates put the number at well above 200,000 killed. This is not simply Guatemalan history, but the secret history of the United States. In many Latin American nations, military officers have been far more involved in political and economic development than have soldiers in the United States…. Build ties between the United States and Latin America? They certainly have achieved that. Molina is implicated in many massacres and murders while he was an army general and chief of military intelligence — and on the CIA payroll. One of his many victims was Efrain Bamaca Velasquez, known as “Everado,” who fought against the US-backed government that massacred hundreds of thousands of Guatemalans. Captured in 1992, he was tortured for years, then killed under Molina’s auspices. His wife, the Harvard-trained American Lawyer and activist Jennifer Harbury, has done much to publicize his case. Other victims tied to Molina are Judge Edgar Ramiro Elias Ogaldez, and Bishop Juan Gerardi. See Francisco Goldman’s intriguing story on the Gerardi assassination. He reports that once the death squads and military killers were exposed by the UN for genocide and widespread assassinations, they mutated into the criminal mafia and drug cartels. In 2007 he published his authoritative book — The Art of Political Murder — on the Gerardi case. Molina is currently being charged with corruption, not murder — at least not yet. As with the recent corruption charges, Molina denies all.